Lodi, via Polenghi Lombardo 13. 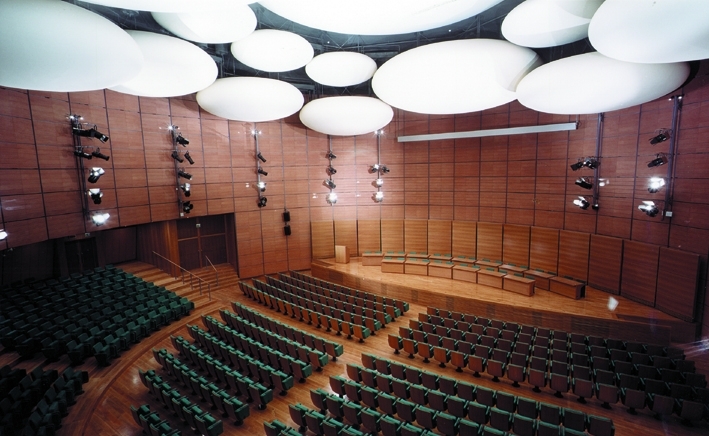 Used for holding the Group’s official meetings and conferences, its careful building design makes it a magnificent music hall reverberating with extraordinary, enveloping sounds. 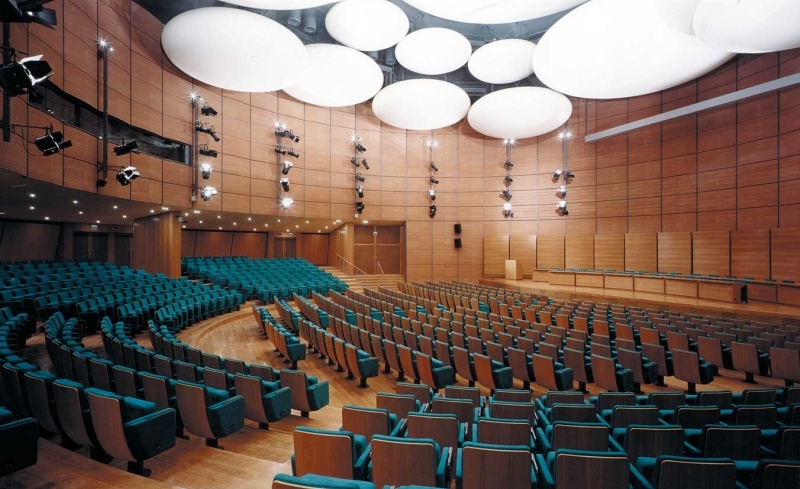 This modern 800-seat “cavea” designed by Renzo Piano, as versatile as it is functional, is a splendid sight: the seats are set out radially focusing on the central stage, whose wooden wings can cater for up to 20 conference speakers. The entire complex is loomed over by the magnificent “white globes” of the ceiling: ultra-white hollow plaster moons reflecting sound and light. The balance of structures and clever study of lights combine to great effect.